The Momentum is a Canadian Holding Company that owns a Group of Companies, offering together a synchronized wide variety of Services. 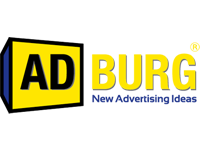 AdBurg provides the Latest Smart Advertising Solutions in a very Creative way. AdBurg provides the Latest Smart Advertising Displays in a very Creative way. ALIENS MEDIA promotes Unique Promotional Items & Smart Advertising Gifts. Creaprint provides Holographic Printing, Animated Printing, Creative POS Ideas & Smart Marketing Displays. 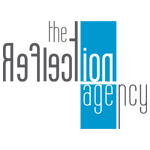 The Reflection Agency is a Graphic Design, Web Developer & Social Media Agency. Venia is an Event Management, a Modeling Agency & Artist Booking Company. Property & Plus is a Real Estate Agency, Property Developer & Migration Consultant operating in Cyprus, Greece & Canada. LBL Offers Stainless & Metal Work services including Construction & Renovation. Bridge Plus is an Import & Export Services Company. Aura is a Luxury & a Fashion Brand Boutique.